Garrett Oliver was his customary, affable, genial self. He dispensed anecdotes, philosophy, business advice and stories with ease, though the US craft brewing industry’s biggest star may have been overshadowed by his own hat. You can read a full live blog of Garrett’s speech here. 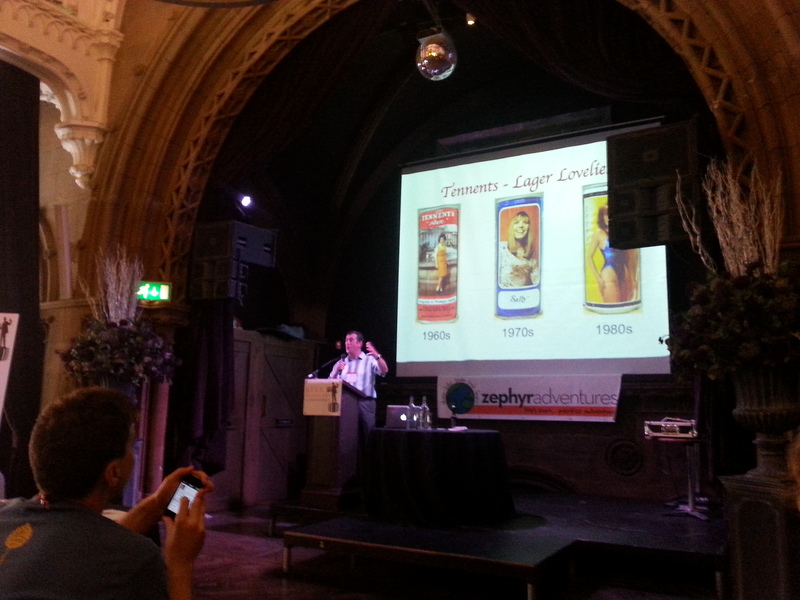 John Martin, of the Scottish Brewing Archive Association, gave a wide-ranging talk on beer in Scotland. 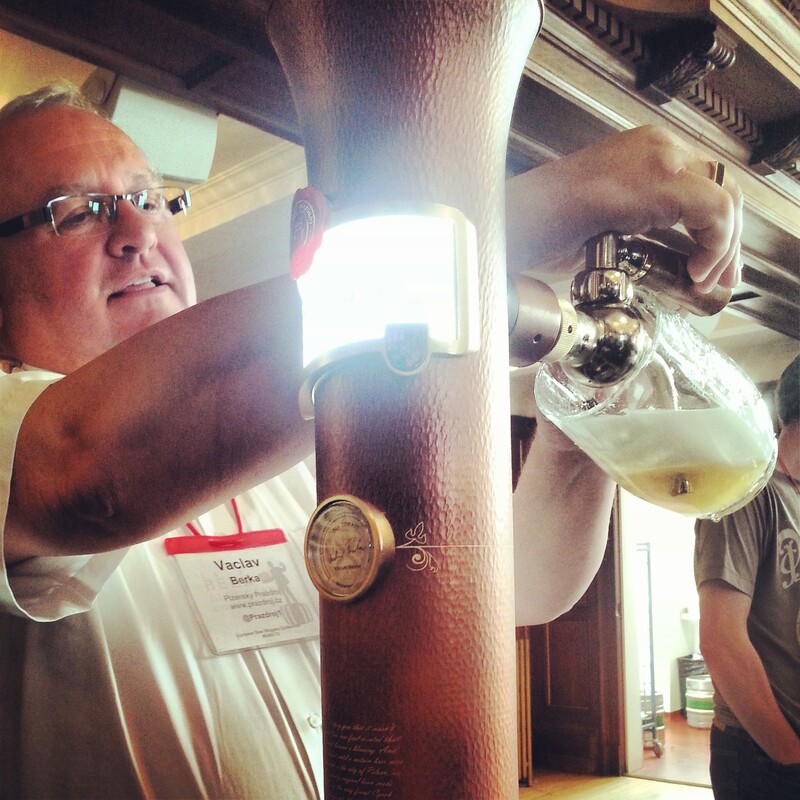 Unfortunately, the talk have been a little too wide-ranging, leaping from one topic to the next with barely a breath, but it still provided a massive amount of information to bloggers hungry (or thirsty) for Scottish brewing knowledge. Read Sam Parker’s live blog here. 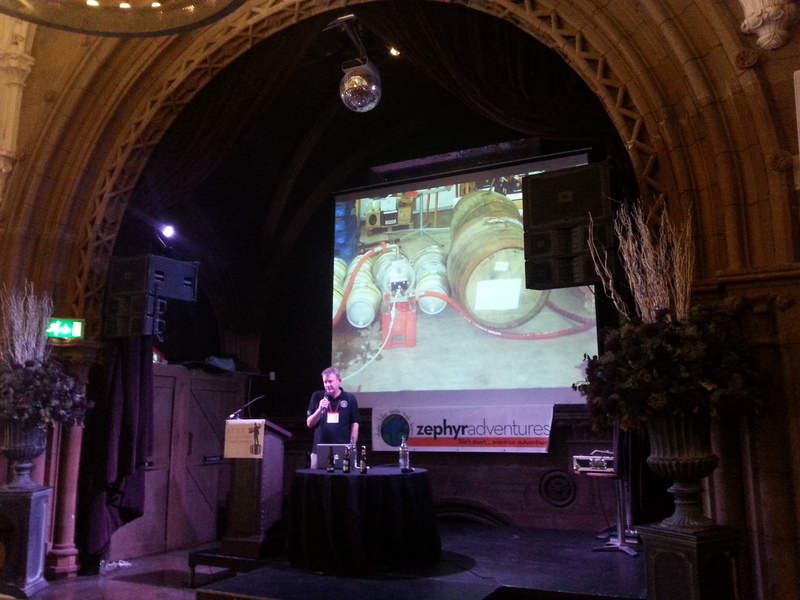 Stuart gave a great talk on the fine art of barrel aged beers. Given Harviestoun’s excellent reputation in this area (Old Engine, Ola Dubh, Engineer’s Reserve, all of which we got to sample), Stuart was the ideal host to guide us through the minutiae of this exacting and specialist aspect of craft brewing. 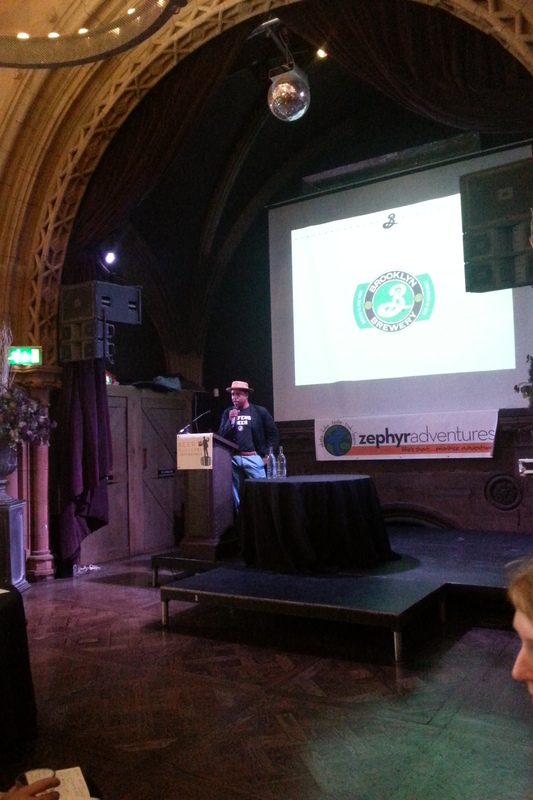 Our live blog of Stuart’s talk is here. 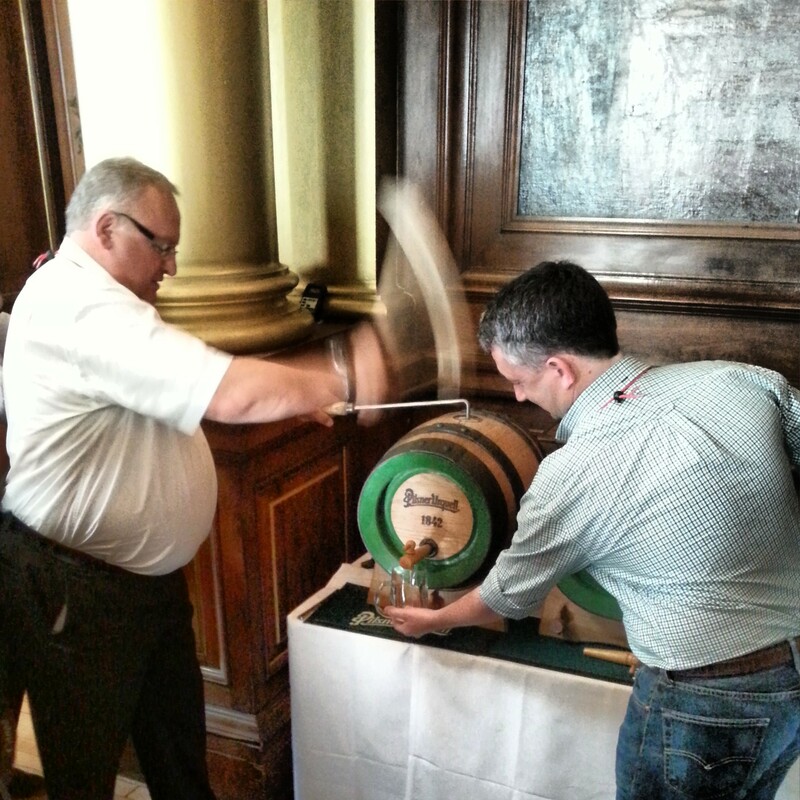 We were also treated to a very exciting dinner in the Edinburgh Council Chambers from Pilsner Urquell, who laid on several wooden casks of unfiltered pilsner for our delectation. Head brewer Vasclav hammered each cask himself, and poured foaming handled mugs of pilsner for all to wash down delicious meals of beef, salmon and dessert of strawberry shortbread. A grand meal in opulent settings, enhanced by the exquisite unfiltered lager. 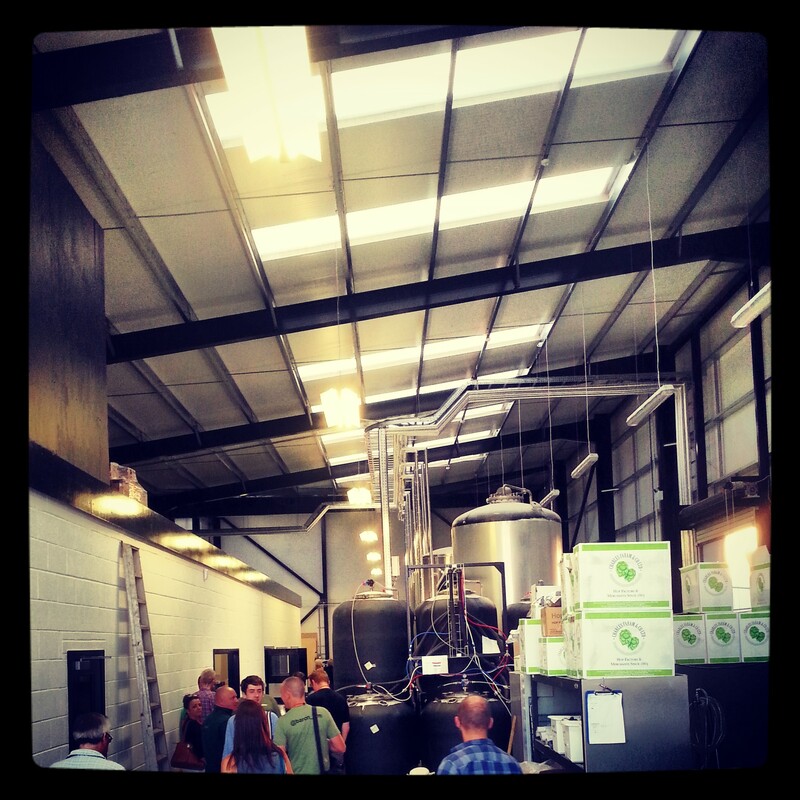 The evening was capped off by a marvellous visit to Stewart Brewing, a forward thinking beer operation on the outskirts of Edinburgh, where bloggers were treated to collaboration beers between the brewery and Herriot and Watt students in the form of Natural Selection Brewing Co. 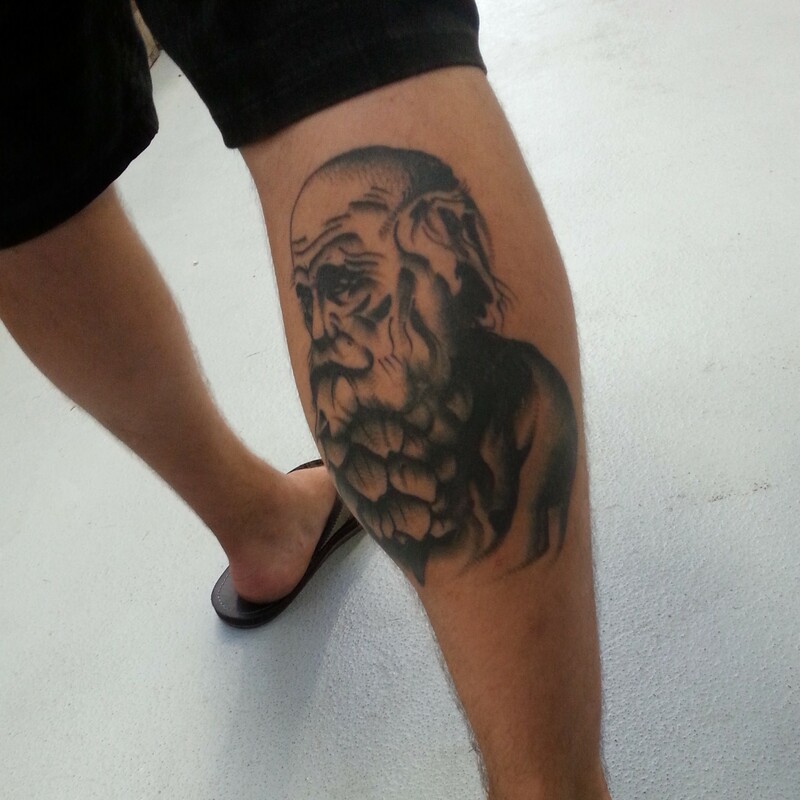 The Darwin saison (featuring the Hop Beard Darwin logo as tattooed below) was bold and defined by its Belgian yeast. A favourite of several bloggers was the Radical Road Triple Hop IPA, which was absolutely bursting with clean, sharp, tropical fruit. As a growing brewer, it was great to be able to see the various stages of Stewart Brewing’s development, and the different brewing equipment they have used and evolved with. A great night had by all. Read the highlights of EBBC Day 2 here.